john4jack (Corvallis, Oregon, United States) on 8 December 2013 in Documentary & Street and Portfolio. Absolutely gorgeous with the shapes and colors! I love the turquoise trim. Always a strange beauty to this place - those adobe structures sure look like the gold the Spanish thought they saw ! @parviz Falahatkar: Taos, New Mexico. The Taos Pueblo is the most famous pueblo in the US. 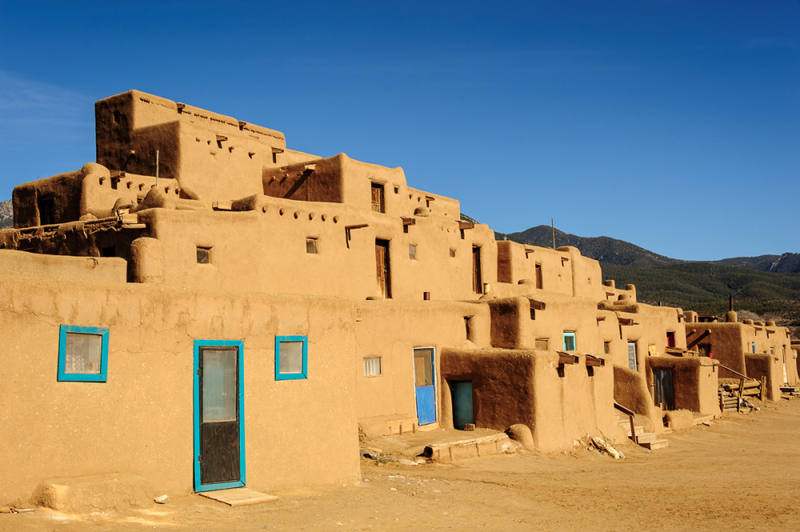 Beautiful shot of these adobe houses with a lovely feel of ancient tradition of the Taos region. @Graciel.la (Vic. Catalonia): The Taos Pueblo is a pueblo near Taos, New Mexico. so beautiful composition, colors, lights & textures! Il a dû y en avoir des films de tournés en ces lieux ! A stunning capture of the pueblo color with the great looking trim. Very architecture indeed, somehow it makes me think of some similar traditional houses we can find in Africa. Looks like a magazine shot! La forme me plait : j'ai une attirance pour le minéral (c'en est ?) ... Quant au fond, cette photo me fait rêver, me remue, évoque en moi des choses inconnues, et me donne envie d'entrer là comme en un lieu protecteur et serein. I love this pueblo, and this whole area too. Attractive building with the cheerful trim. The blue skies of the west are so pleasing!